Bellevue Literary Press, 9781942658528, 240pp. A "flip," writes Jeffrey J. Kripal, is "a reversal of perspective," "a new real," often born of an extreme, life-changing experience. 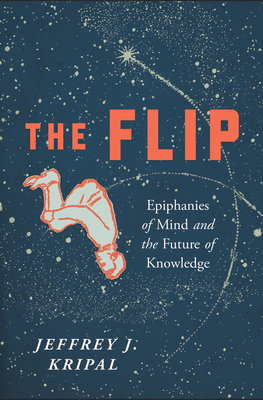 The Flip is Kripal's ambitious, visionary program for unifying the sciences and the humanities to expand our minds, open our hearts, and negotiate a peaceful resolution to the culture wars. Combining accounts of rationalists' spiritual awakenings and consciousness explorations by philosophers, neuroscientists, and mystics within a framework of the history of science and religion, Kripal compellingly signals a path to mending our fractured world. Jeffrey J. Kripal holds the J. Newton Rayzor Chair in Philosophy and Religious Thought at Rice University and is the associate director of the Center for Theory and Research at the Esalen Institute in Big Sur, California. He has previously taught at Harvard Divinity School and Westminster College and is the author of eight books, including The Flip. He lives in Houston, Texas.